James David Jordan has penned an engaging, intriguing, plot-driven tale in Double Cross. Televangelist Simon Mason is killed during a rally, leaving behind his young adult daughter, Kacey, and his security consultant and friend, Taylor. It is only a matter of time before there is word of an embezzling scheme which threatens to destroy the ministry Simon Mason worked so hard to build. Kacey and Taylor are determined to find out who is behind the missing money but they are not prepared for the suspicion it casts on those they know. When one woman ends up dead from what appears to be a suicide, Taylor wonders about the pieces which just don't seem to add up, then begins to wonder if something more sinister is going on. Meanwhile, Taylor's estranged mother suddenly turns up, wanting to reclaim a relationship with her long lost daughter. Taylor is not quite sure how to react but decides to make an effort. It isn't long before she realizes just how emotionally fragile her mother really is, just as her father had told her in years past before he passed on. The story really heats up when Taylor meets up with a reporter (investigating a separate case) and wonders if the two cases might be tied together. The pages fly by and the suspense builds as the plot thickens. 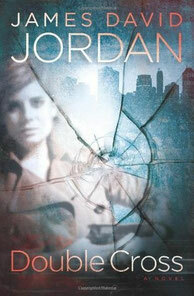 A must-read for anyone who likes a good mystery to solve and wants to get in on the action. If you wish to purchase this title, please click the book cover which will take you directly to the book's page on Amazon.